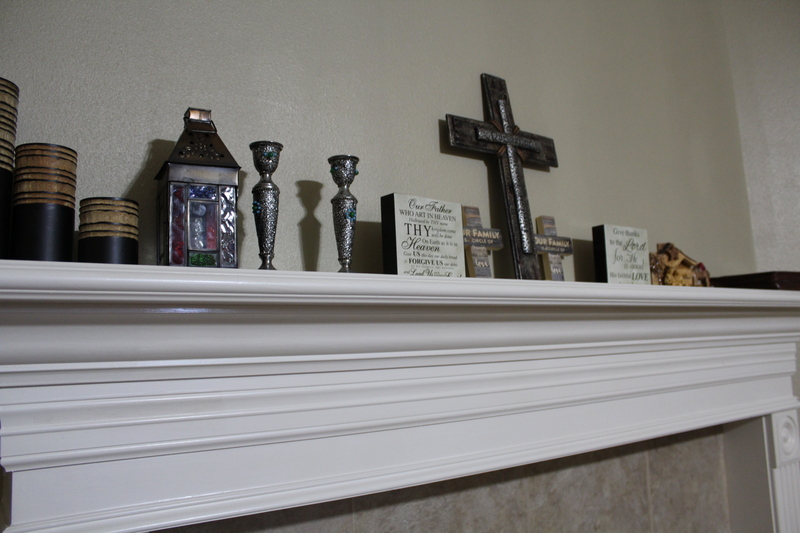 As you enter the home of Vijay and Ria Kumar you quickly notice a beautiful fireplace mantle with Bible scripture decorations surrounding a wooden cross. If you had entered the same home two years ago, the scene would have been dramatically different. Two years ago, the mantle was covered in various Hindu idols that the Kumar family made offerings to and worshipped daily. The idols were placed on the mantle in 2005 when the Kumars moved to Bryan from Los Angeles for a job opportunity for Vijay. “It was if some person was telling me I must enter there tonight,” so the family of four went inside and sat in the back row of the church. Ria says she was confused about which god she was supposed to pray to and remembers praying, “You created me, so I am talking to You.” Though Ria says she does not think she got a response from God, she saw a glimpse of white. Out of fear Ria began calling some of her friends and asking, “Do you know who this person is? He is totally white from top to bottom. He is wearing white. Everything white.” This friend sent Ria a picture of a prophet; however, it did not match what Ria had seen, so Ria went to sleep that night without feeling she had a clear answer. “That night I had a dream. In the dream I saw a calm sea. At first I thought it was a mirror and wondered why a boat was on top of the mirror, but I realized it was water. There was a big boat with a lot of people in it. Inside the boat was a man with an oar in his hand, and as I looked at him I was filled with peace and calmness. The boat was totally full with only three seats left, and the man gave me his hand and asked, ‘Do you want to hop in?’” Ria says the casual language of the man made her think he was joking. It seemed as if he were speaking to a friend, which convinced Ria the man knew her well. She gave the man her hand, and the dream was over. In the days following her dream, Vijay recalls noticing how Ria seemed much more happy and upbeat than she had since her hospital visit. After sharing her dream with her husband, Ria also had chances to share her dream with other friends and even her son’s babysitter. One of the friends that was pointing Ria to Jesus often challenged her with the question, “Why don’t you pray for it?” Whether it was which church to attend, which translation of the Bible she would best understand, or protection over her daughter who was off at college, Ria began making all of her requests known to God. As Ria began reading the Bible on her own, she quickly realized that because of her spinal stenosis she was not able to properly sit for lengths of time, so she asked Vijay to read to her. Ria shared that while Vijay was reading to her, she would often pray for his salvation, “Bring him first Lord. Then bring my whole family.” Vijay remembers that after he would read the Bible to Ria, she would have more energy and be able to do her daily activities, but if he did not read the Bible, he noticed that Ria was feeling sad. This sparked curiosity in Vijay to the point of him purchasing a Bible of his own to read. As Vijay began reading the Bible for himself, Ria also noticed a change in him. Vijay was the first member of the Kumar family to profess faith in Jesus and be baptized. Ria did the same a few months later, and then their daughters Amy and Denise were baptized in Austin, where Amy attends college. One of the biggest dilemmas that Ria and Vijay faced in their new faith was what to do with the idols that were on the mantle and in a room of their home. Ria felt an emotional attachment to the Hindu idols because they had been given as gifts from she and Vijay's family and friends in India, but she knew she the statues would be of no use to her since she and her husband no longer believed in them. Two separate friends, who had also turned from Hinduism to Christianity, suggested she just throw away the idols, but Ria was not sure if this was the correct thing to do, so she placed all of the idols into seven cardboard boxes to store until she was certain. As Ria continued waiting for a clear answer from the Lord, the priest of the Hindu temple called to ask how she was doing since her family had not come to the temple in several months. Ria told him of her new faith in Jesus and that she was no longer worshiping Hindu gods. Ria also offered to donate the seven boxes of statues and Hindu scriptures to the temple, but the priest informed her that he did not have any space for them and would just throw them in the trash himself. Ria took the priest’s response to be a clear answer from God, and that same day she and Vijay chose to throw away the boxes that stored the idols.